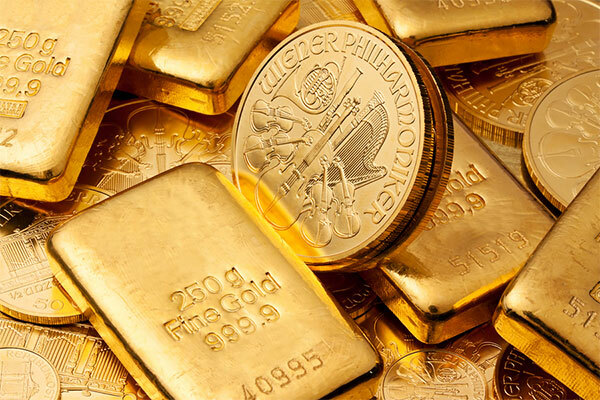 Gold's prospects for a sustained price rally are better than they have been for years as a weaker dollar, crashing oil prices and concerns about the global economy have revived its safe-haven status after years as the dog of global financial markets. The last time gold prices rose more than 10 per cent in a 10-day stretch, the bullion market was in the last gasp of a decade-long rally that soon peaked at more than $1,920 per ounce in 2011. Gold XAU= surged 5 per cent on Thursday, its biggest daily gain in more than seven years on the possibility that the US central bank may cut interest rates instead of raising them. The precious metal has climbed 20 per cent so far this year to $1,260.60 an ounce with money managers eyeing $1,300 to $1,400 in the next six to 12 months. While the Federal Reserve has avoided introducing negative rates on reserves, in Congressional testimony on Thursday, Fed Chair Janet Yellen told lawmakers that the Fed would look into negative interest rates if needed. While confidence in the battered bullion market has grown, no one is expecting a return any time soon to that all-time high in 2011. Most dealers also agree that the pace and extent of the run-up leave prices vulnerable to profit-taking and volatility in the near term. However, in the long term, they say gold prices should move higher. "If you're looking for the path of least resistance, it's gold right now. I think this has legs. I don't think it's going to be short term," said Jeffrey Sica, chief investment officer of Sica Wealth Management in Morristown, New Jersey. Jeffrey Gundlach, the co-founder and chief executive officer of DoubleLine Capital, said gold prices will reach $1,400 an ounce as investors lose faith in central banks. Gold typically rises when the dollar slides and falls when the dollar rises. The link is with interest rates, which when they rise also push up the opportunity cost of holding the metal, which earns no yield and costs money to store and insure. Oil prices CLc1 LCOc1 have tumbled over 70 per cent since mid-2014 due to a supply glut and a global equity benchmark index .MIWD00000PUS closed Thursday more than 20 per cent below its record high last May, confirming global stocks are in a bear market. With both commodities and equities tumbling, investors are drawn to less risky investments such as gold and bonds. The market has enough momentum behind it to lure in more investors once the market has taken a breather, said John Hathaway, co-portfolio manager of Tocqueville Asset Management's gold fund with $1 billion under management. Buying was seen across the board with futures volumes surging to the highest since late 2014 and frenzied options activity startling even veteran dealers on Thursday. Terry Hanlon, president of Dillon Gage, one of the world's biggest physical precious metals dealers, based in Addison, Texas, said he was inundated with buying orders. The recent buying spree of gold exchange-traded-funds (ETF) has been the biggest in nearly five years. For many money managers, gold's spectacular blast a week ago through its 200-day moving average, seen as a psychologically key resistance, at $1,130 per ounce dramatically improved the market's technical footing. "This is the first step to say we've seen something we like," said Robert Lutts, president, chief investment officer at Cabot Money Management in Salem, Massachusetts. He will be even more confident if technicals get more bullish with the 50-day moving average rising above the 200-day, a bullish technical formation known as a "golden cross." They are only $20 apart. It is a dramatic shift in fortunes for gold, which ended 2015 with its third straight annual loss. Only six weeks ago, cheap oil prices were still expected to cushion the global economy, and the Fed's decision in December to raise interest rates for the first time since the end of the financial crisis in 2008 was widely seen as a vote of confidence in the world's largest economy. But, major stock indexes worldwide have been hit hard, despite efforts by the Bank of Japan and the European Central Bank to spur growth through lower interest rates. That is in stark contrast to 2011, when gold's long, steady grind lower off record highs began. It fell out of favor in earnest with investors in 2013 when the Fed indicated it would start reining in stimulus spending and signaled the end of an era of low interest rates.